1. He came to us; He loved us that much. No sadness, no sorrow He cannot right. 2. He came to earth; He lived as a man. No hunger, no heartache He cannot heal. 3. He lived like us, acquainted with grief. To those who believe He offers relief. For the humble, the faithful who follow Him. Come to Him. Come learn of Him. He’s meek and humble and lowly of heart. 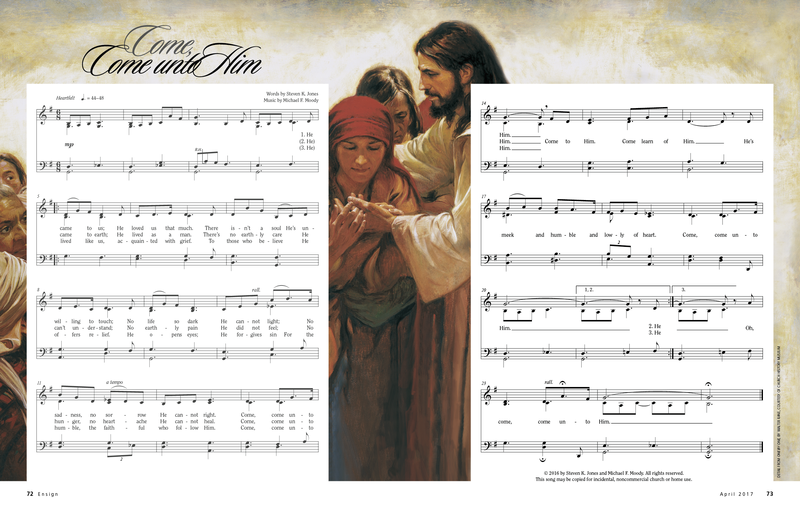 Oh, come, come unto Him. © 2016 by Steven K. Jones and Michael F. Moody. All rights reserved. This song may be copied for incidental, noncommercial church or home use.